FUNDS AVAILABALE! Rural Development “502” Direct Loans are primarily used to help low-income individuals or households purchase homes in rural areas. To qualify, applicants for direct loans from HCFP must have very low or low incomes. Very low income is defined as below 50 percent of the area median income (AMI); low income is between 50 and 80 percent of AMI; moderate income is 80 to 100 percent of AMI. Families must be without adequate housing, but be able to afford the mortgage payments, including taxes and insurance, which are typically 24 percent of an applicant's income. However, payment subsidy is available to applicants to enhance repayment ability. Applicants must be unable to obtain credit elsewhere, yet have reasonable credit histories. Eligibility: Applicants for direct loans from the USDA RD, must have very low or low incomes. Very low income is defined as below 50 percent of the area median income (AMI); low income is between 50 and 80 percent of AMI; moderate income is 80 to 100 percent of AMI. Click here to review area income limits for this program. Families must be without adequate housing, but be able to afford the mortgage payments, including taxes and insurance, which are typically 24 percent of an applicant's income. However, payment subsidy is available to applicants to enhance repayment ability. Applicants must be unable to obtain credit elsewhere, yet have reasonable credit histories. What is the difference between a "direct" and a "guaranteed" home loan? A direct loan is a loan directly from the government. 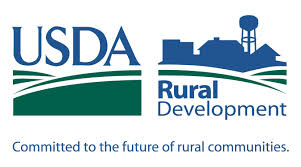 Qualified applicants work with a local Rural Development specialist throughout the application process. A guaranteed loan is a loan made by a traditional lender (bank, mortgage lender, credit union) and "guaranteed" by the government against default. Qualified applicants work with the lender throughout the application process. For direct loans, a payment subsidy is available that could bring the interest rate as low as one percent for qualified applicants. Typically, monthly payments are between 22 and 26 percent of an applicant's income. For guaranteed loans, the interest rate and terms are negotiated between the lender and borrower. Contact Tom or Jim Peterson for details on this program!